35% fewer calories than sugared gum. Calorie content has been reduced from 8 to 5 calories per two piece serving. It will make your breath fresh. 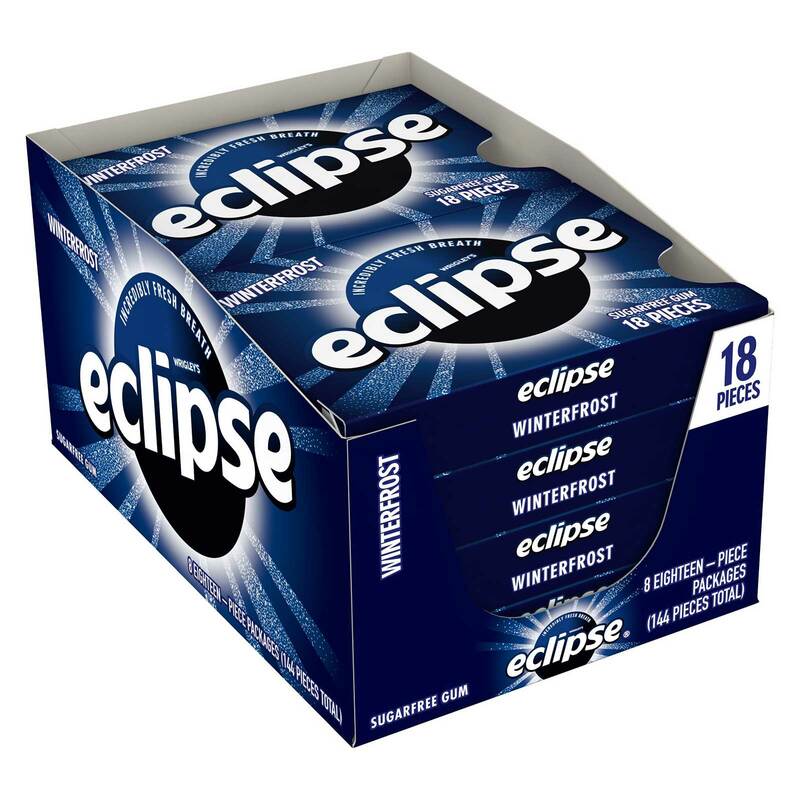 Order WRIGLEY ECLIPSE WINTERFRO in bulk at wholesale price from Volt Candy Online.